The constant drone about the human over population of our world and how our actions are bringing it to an end. Has most of the world forgotten about basic math and geometry? Or didn’t most of the world go to school? Most of the world I experience being right here in the USA, of course. For the record. Again in dithering boredom: All the people currently on earth (ALL) would fit standing on the U.S. island of Oahu with inches to spare on every side of them. All would fit on an area the size of the smallest state of Rhode Island and allow each about six square feet of space. Now look outward. Rhode Island is about one four hundredth of the area of the U.S. The U.S. is less than half the size of Russia, smaller than Canada and just barely bigger than China. The world is not full of people. It is full of people feeling full of themselves and their huge presence on earth. We are not that many, nor that significant except, for our mental capabilities and inventions. Ever heard of krill? These tiny swimming creatures are what a lot of sea animals feed on up in the arctic (like whales). 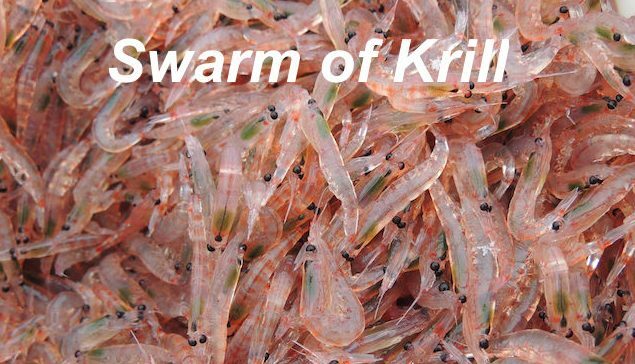 All krill combined have more body mass and weight than all human beings on earth. Termites and ants too! Think about it. But no the powers that be are all in a tangle and argument about who will lead. who will have the most money and power to rule the world…. Why don’t they’ll sit down and talk about the real problems of the world and fix that instead of quickly going into war or using their brains to think and negotiate peace . .
YOU as usual, James have thrown out the ideas that keep people humble. We indeed are failing are creating a harmonious world . We know better, but do not follow the way of the heart . What is good for the living plants, animals, and people that will meet the needs of life ? Forget about money and start fixing the Earth and the people’s living conditions . I just wish people would love one another more and care about their surroundings. And yes, I pray we will all wake up and work together for peace and harmony in this world . . Thank you for the post James. Thank you Karen for a well written comment. Let me preface this by saying: this is a prank, right? This is akin to the ‘news’ from theonion.com? Unfortunately your mental imagery is simply a visualization game. It has no bearing on reality. Fine, if you want to argue that it is ‘possible’ to fit the 7 billion (and growing) humans into a small area, you are not allowed to ignore the facts: humans consume way more space than that. Take one of the most basic aspects: human-waste. If you cram all those billions into that area, where do they defecate and urinate? Simple geometry and math might help you believe humans don’t take up all that much space but you need to apply those tools to the tangential aspects of humans: the size of the land they each individually call home (some have multiple homes each taking up acres of land. How many homes do you have Mr. Strauss? ), the land required to grow food for all these humans, the land required for trash produced by humans, the land for human waste to be treated, the land for supplying water for humans, land required for digging up gold and oil (and ruining the land for other creatures), roadways, cities, etc all take a massive bite out of the available land-space. Don’t forget the fact that krill have the entire ocean and there is more ocean-space than land-space on planet earth. You cannot be this blind and naive at your age… it is unforgivable. point than what you took my writing to mean. I understand the massive impact humanity has made upon all of planet earth. I was simply trying to make sure everyone understands that we, as humans, are not everywhere and not overpopulating the land surfaces the same way we are overpopulating parts of them, like in cities and such. By the way you write I presume you to have a high level of intellect. Why you choose to take such emotional dives, with respect to who and what you criticize, I have more trouble with. Whether or not my writing appears naive or not, whether I am blind or not or making the statement that the writing is a ‘prank’ tends to lessen the impact of your own analysis and critical commentary. You tend more toward the troll end of the spectrum and I don’t think that’s where you want to go. I mean if you want to be taken seriously. I first studied man’s effect and presence on the planet in underclass anthropology before going on to graduate school. 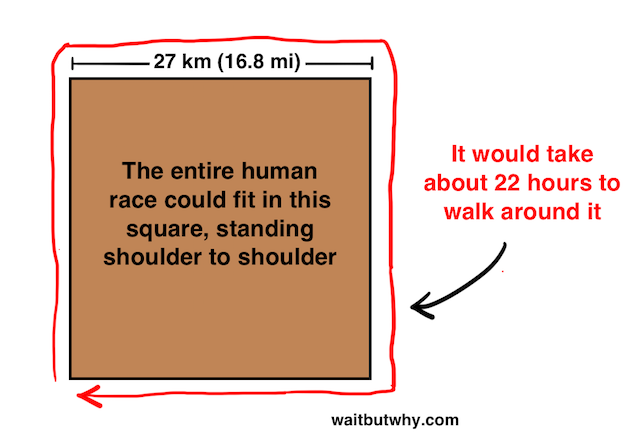 I recall that, back then, all of humanity could be packed into a square area just fifteen miles on a side, or so. All gold ever discovered and refined will fit into a box about the size of a three bedroom home, but that does not portray the necessary impact of effect of all that gold. It’s more a mental construct of a physical manifestation. It may not read like it but I appreciate your comment…. Wonderful comments, James and Bob. I immediately understood the position express by Strauss when I first read this article. While actively involved in biological research in the 1960’s, I saw many colleagues siding with the anthropogenic concept that Man is so powerful and has such control over the planet. It is an easy escape from finding REAL reasons for changes in condition. “It’s Man’s fault” etc. have been the excuse for poor science and a method for the power brokers to sway the uninformed.